Home » General Health » The Medical Marijuana Debate: Does It Really Relieve Pain? The Medical Marijuana Debate: Does It Really Relieve Pain? If you were to take a guess at how long medical marijuana or cannabis oil has been in use, what would you guess? 300 years? 800 years? A thousand? The answer is actually closer to five millennia. This herb has been pressed into service as a remedy for countless illnesses and symptoms. However, it’s only in the last 50 or 60 years that medical marijuana has come under scrutiny by governments and medical professionals. In 1970, the U.S. Congress decided to classify marijuana as a Schedule I substance—declaring the herbal drug was illegal and that it held no therapeutic value. Marijuana was seen as a drug that elicited feelings of pleasure and that exerted a drug-induced relaxation on the mind and body. Despite this negative declaration, many people continued to use marijuana for its therapeutic value until, finally in the 1990s, California became the first U.S. state to legalize its medicinal use. It was also in the 1990s that scientists first became aware that the main active ingredient in marijuana—tetrahydrocannabinol—altered the endocannabinoid system in our bodies. Your endocannabinoid system is involved in appetite, pain-sensation, mood, and memory. It also initiates the psychoactive effects of marijuana. Marijuana now has a controversial place in Western medicine. Many people use medical marijuana to treat symptoms caused by diseases like cancer and AIDS. Medical marijuana has also been used by people to treat anxiety. All of this would be fine, if it weren’t for the fact that marijuana is seen as a drug that can become addictive. It has also been shown to trigger adverse mental episodes, some of these even bordering on aggressive and psychotic, in people who react unfavorably to the drug. Much of public opinion holds this view of marijuana and is the reason many see it as an illicit drug. 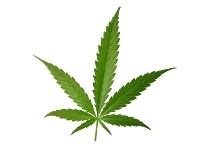 Scientific research on the medicinal benefits of marijuana remains mixed. Patients maintain marijuana helps treat symptoms and relieve pain, while doctors remain uncomfortable prescribing marijuana to patients. If the drug is prescribed by a doctor, it’s most commonly used in the treatment of pain, insomnia, and anxiety. Now, the Canadian government has weighed in on the debate and finalized new rules around the use of medical marijuana. The government won’t be producing or distributing medical marijuana anymore. The new legislation also stipulates that patients will no longer be able to grow medical marijuana in their own homes. Patients will only be able to buy prescribed amounts from licensed growers. These growers will be legally required to meet strict guidelines around the growing and cultivating of marijuana. Previously, pharmacists were dispensing medical marijuana. Many, however, felt uncomfortable dispensing the herbal drug when they could not be sure of its quality or medicinal effects. The legislation is an attempt to separate “recreational” users from medical users. It is hoped that only those who need medical marijuana to treat serious illnesses will now have access to it. The debate will continue around the use of marijuana as medicine. In the meantime, scientists will continue to hone in on the exact mechanisms involved in marijuana’s beneficial effects in hopes of separating these from the more adverse effects of the herbal drug. They hope to make the drug more “user-friendly,” capitalizing on its ability to ease pain in patients suffering from chronic illness. “Ottawa tables final rules for medical marijuana, gives pharmacists a reprieve,” Yahoo! News web site, June 10, 2013; http://ca.news.yahoo.com/ottawa-tables-final-rules-medical-marijuana-gives-pharmacists-133012821.html, last accessed June 11, 2013. Reinaman, C., et al., “Who are medical marijuana patients? Population characteristics from nine California assessment clinics,” J Psychoactive Drugs. June-April 2011; 43(2): 128-35. Bostwick, J., et al., “Blurred Boundaries: The Therapeutics and Politics of Medical Marijuana,” Mayo Clin Proc. February 2012; 87(2): 172–186.